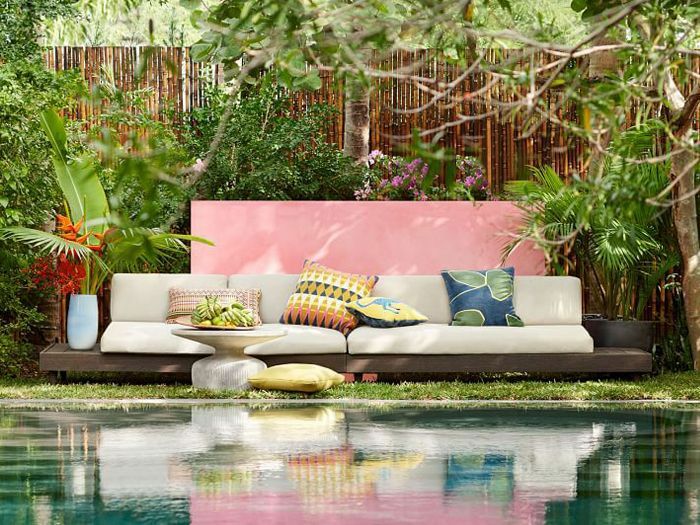 Give your outdoor space some love this summer. Especially when warmer months are shortlived, it's easy to neglect our backyard or balcony in favor of paying more attention to the indoors. 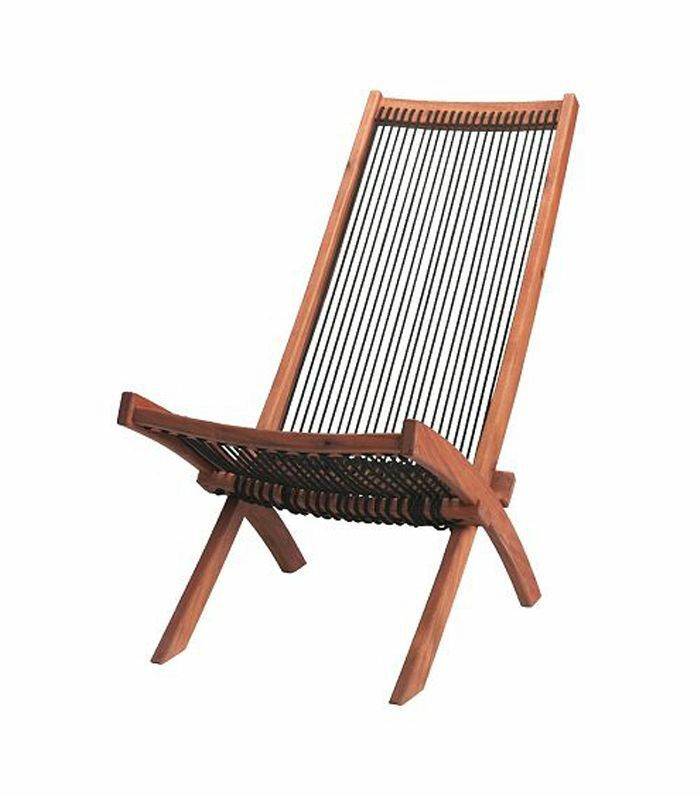 But if this selection of affordable patio furniture is any indication, it's easy to make your outdoor space feel layered, stylish, and inviting without spending a ton. 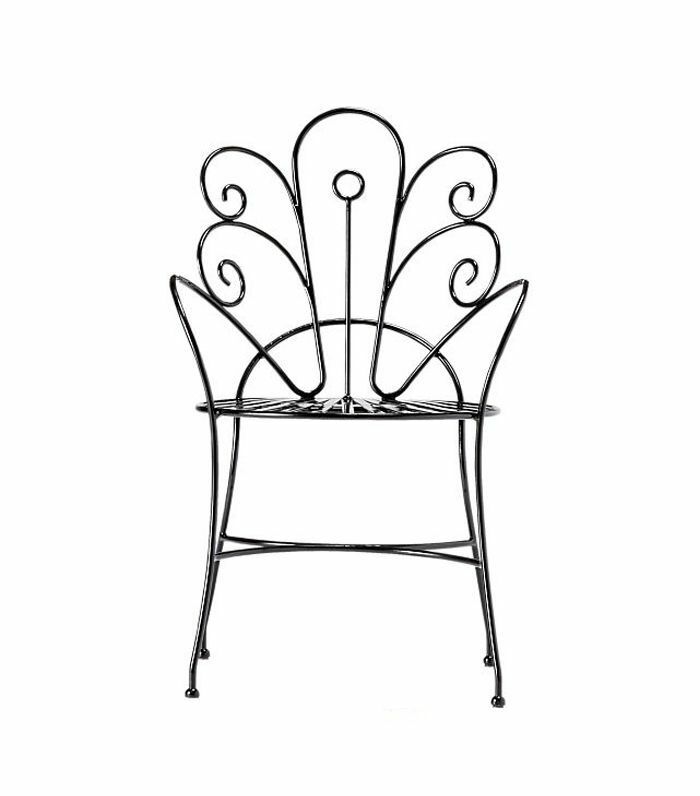 To get you on your way to an idyllic outdoor space, start with a few basic pieces of affordable patio furniture. Add an outdoor rug and pillows, maybe a few plants and accessories, and finish off with a set of string lights. Voilà—now you're ready to spend all your evenings (and lazy Saturdays) outdoors. Ready to spruce up your balcony, backyard, or veranda? Here are our favorite affordable patio furniture pieces to get you started. 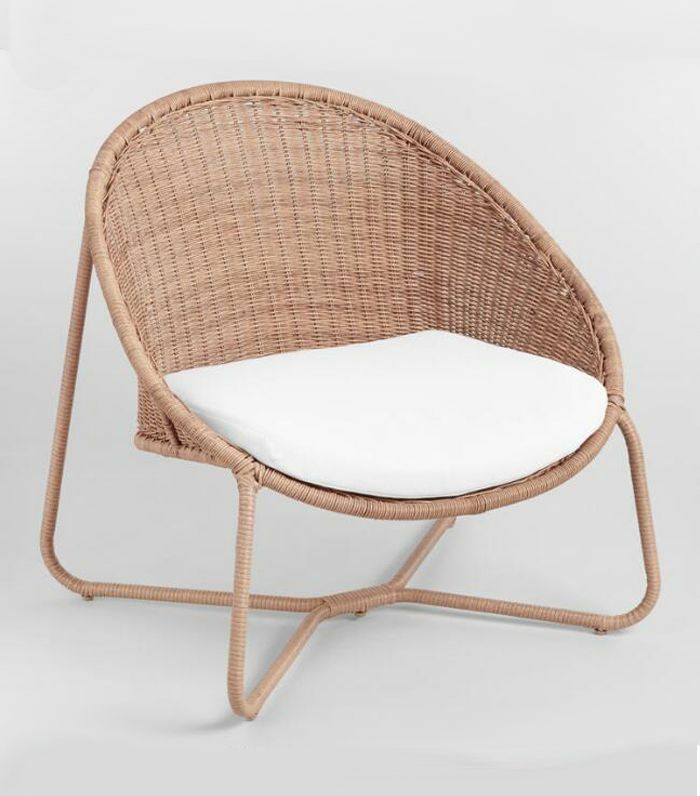 Sink into this adorable wicker egg chair on a hot summer day. 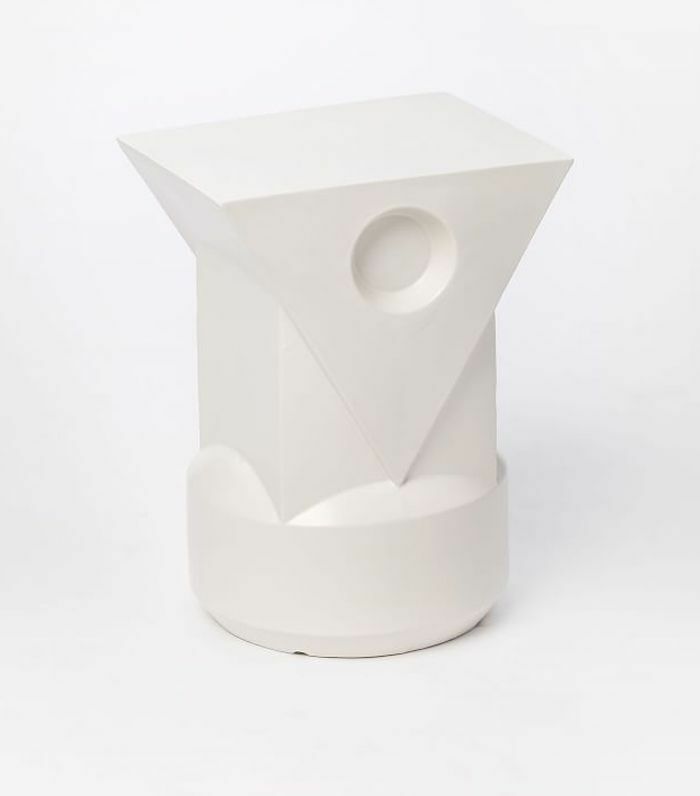 This piece would work particularly well as a set of two on a small balcony. Have a large outdoor dining table to outfit with multiple chairs? 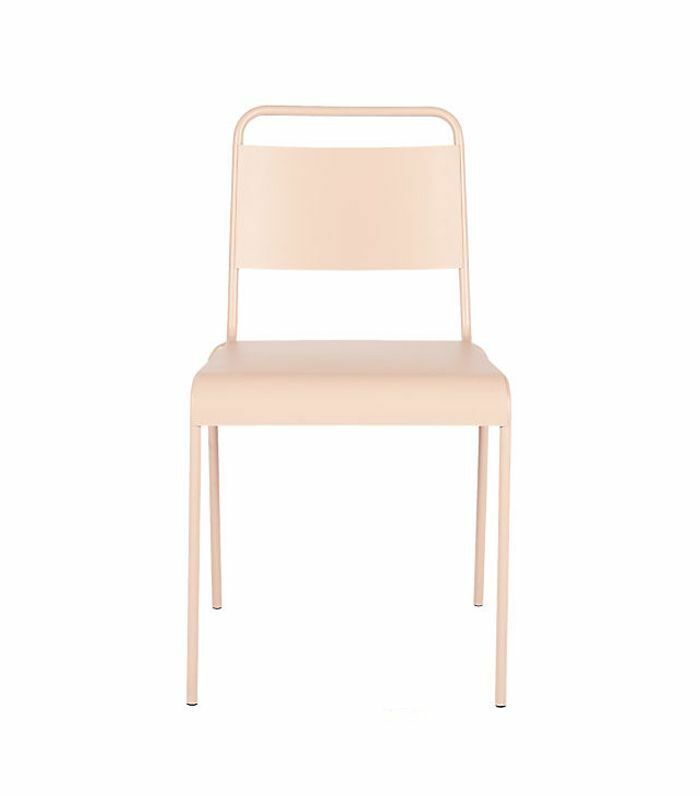 These stackable colorful chairs from CB2 are exactly what you need. 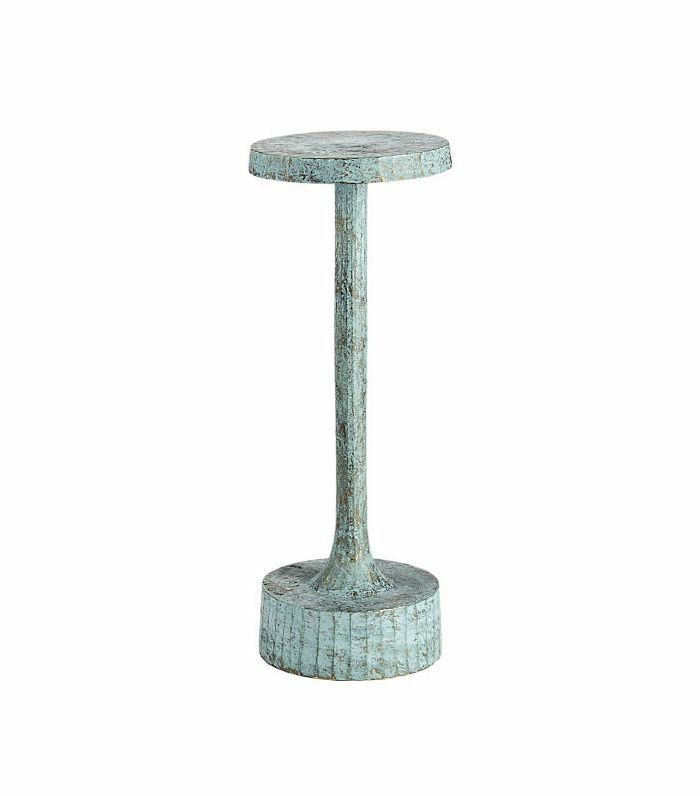 Add a sculptural flair to a set of outdoor chairs with this stunning modernist totem table from West Elm. 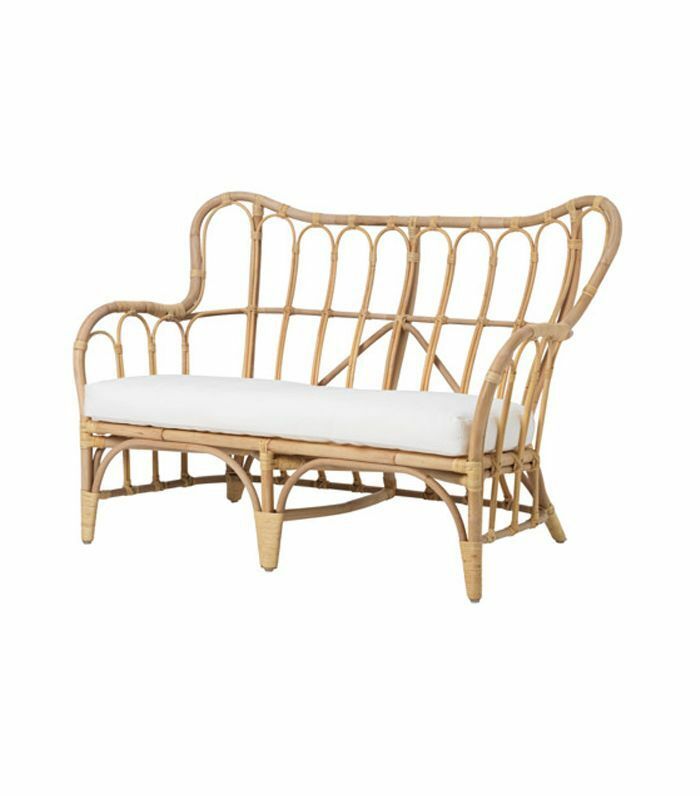 Only IKEA could you find such an adorable wicker outdoor loveseat for under $150. Add this piece to your front porch or balcony. A stylish dining set for under $200? Sign us up. 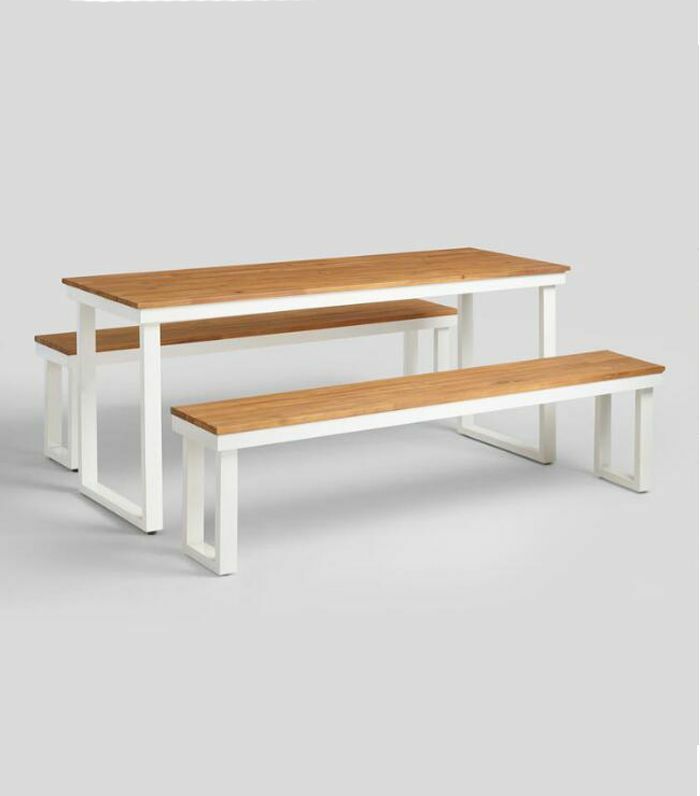 This beautiful outdoor dining table and benches will bring together all your closest friends. 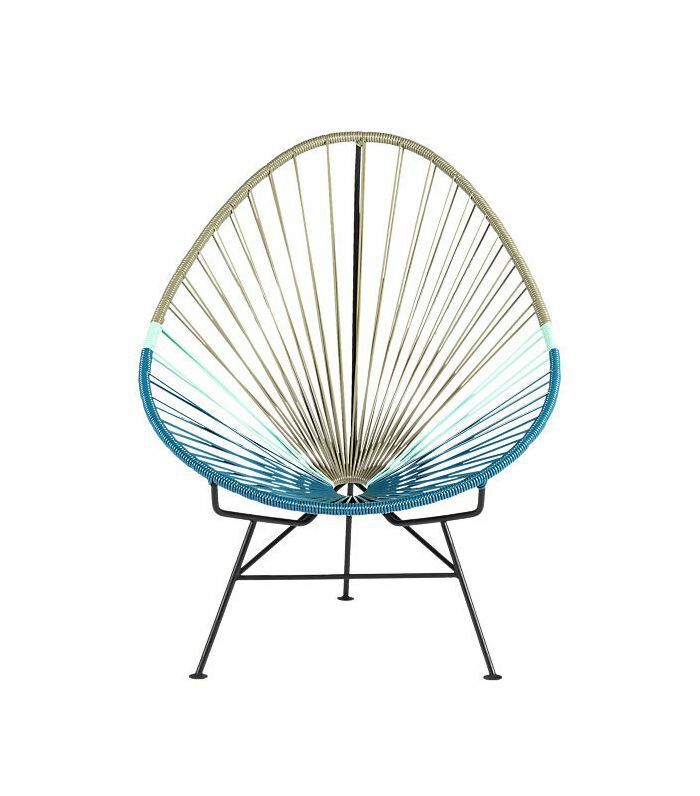 Get your own Acapulco chair (or a set of two) and make a colorful statement in your outdoor space. Need an affordable coffee table for your outdoor space? It doesn't get better than this minimalist table from IKEA that's on sale for only $35. This accent chair will add a stylish beachy flair to your home—indoors or outdoors. Best of all, it's only $50. 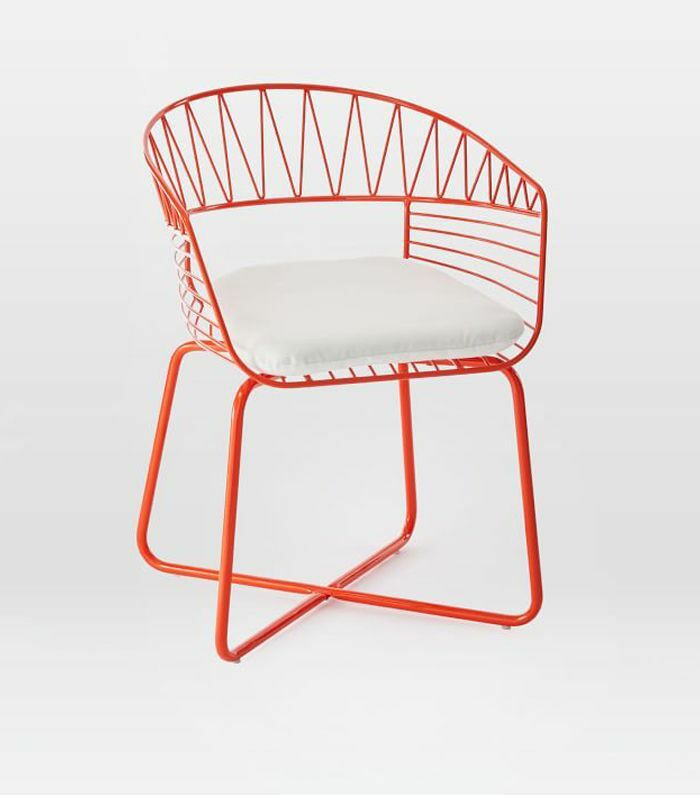 We love this colorful outdoor dining chair from West Elm. Buy a set and have your friends gather comfortably for an alfresco dinner. 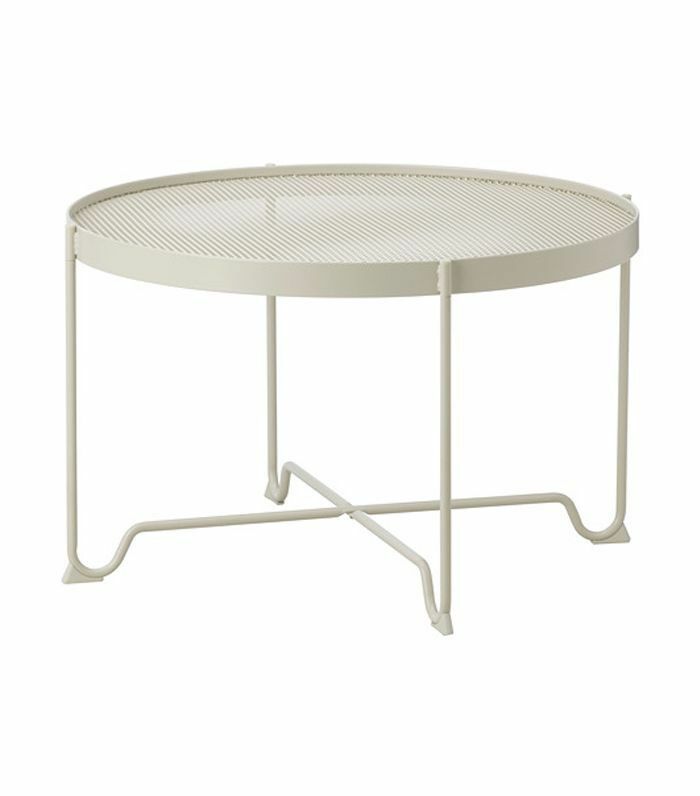 This small indoor/outdoor table will add a timeless feel to your backyard. Set next to a lounge chair as a surface to put down your drink. 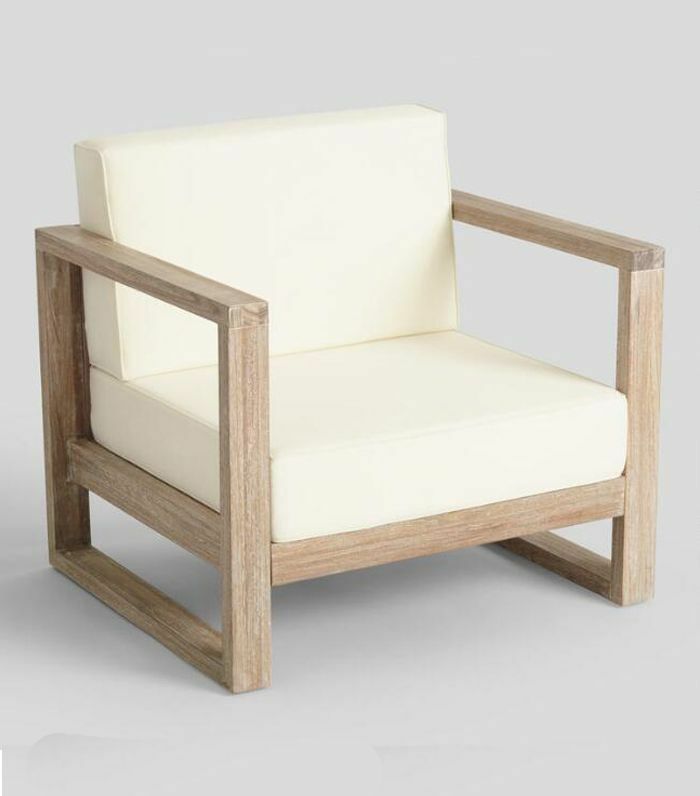 Normally this type of large luxe lounge chair is expensive, but this one is on sale for under $300. Want to give your outdoor space a retro playful feel? Start with a set of these adorable peacock chairs. 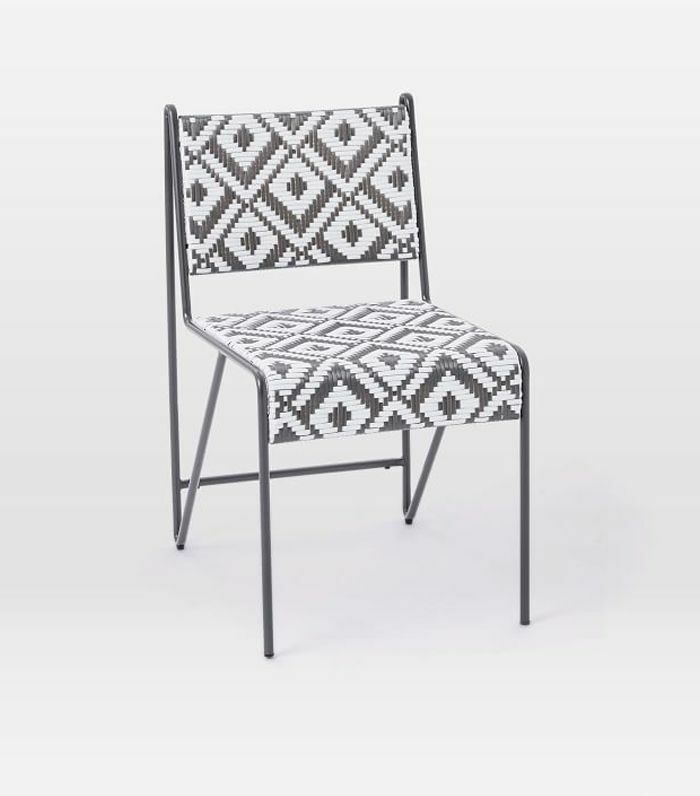 We love these two-tone diamond-patterned outdoor dining chairs from West Elm. Bonus: They look really comfortable.